I guess lots of kids like bears, and Nikolai especially likes polar bears. 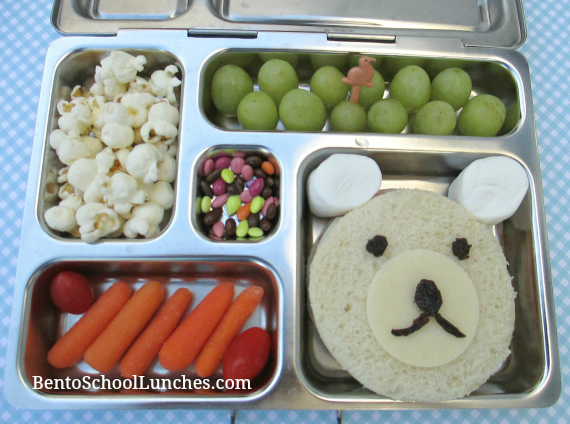 Once my hubby made a Herbert P. Bear bento honoring one of his favorite characters from Disney's Club Penguin game which can be found here. What a cute lunch! Where can I order the planetbox? Thanks Jessica! You can order from Amazon, I have a link below this blog post under supplies that I used. The polar bear sandwich is adorable! Have a lovely weekend, Rina! Thank you so much Jean! So adorable! How nice, have a good long weekend!